The HR150 super horizontal resaw is primarily designed to resaw cants and boards into two pieces with each pass. It can also be used as a recovery saw for slabs, flitches, and jacket boards. The HR250 super horizontal resaw is a twin blade version of the HR150. By placing one blade directly over the other blade within one compact head, the HR250 can make one or two horizontal cuts to resaw cants and boards into two or three pieces with each pass. It also works well with resawing stressed material. Control panel setworks with digital blade position controls in both imperial and metric ensure accurate height positioning of the blade when setting cut thickness. Each blade has its own setworks panel and is controlled and run independently. Pneumatic hold down rollers and an idle top roller keep material secure as it moves through the machine. Blade speed is variable to accommodate various cutting requirements and the variable feed speed is controlled by an electric motor for efficiency. Blade tension is automatic and controlled by an air-over-oil hydraulic system in order to maintain proper tensioning for longer blade life. Starting at $17,995, the HR250 is also available in an economic manual version with manual saw wheel elevation, manual blade tensioning, and a single blade speed. 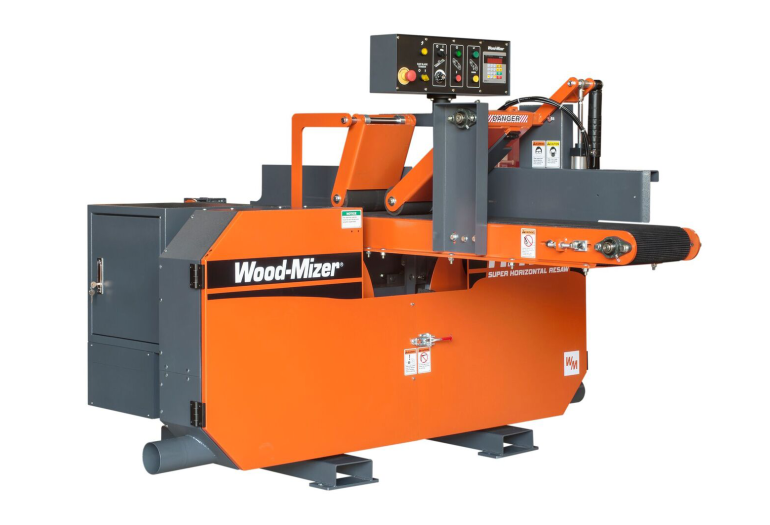 Since 1982, Wood-Mizer has earned the reputation as a leading wood processing equipment manufacturer with a strong legacy from its innovative sawmilling products. 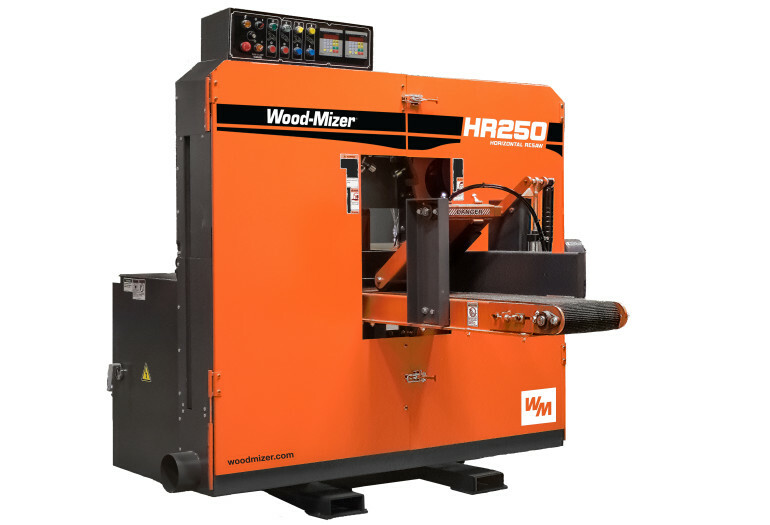 From forest to final form, Wood-Mizer offers an extensive line of equipment including narrowband portable and industrial sawmills, wideband sawmilling equipment, band resaws, board edgers, wood kilns, planer/moulders, firewood processing equipment, pallet recycling equipment, material handling equipment, bandsaw blades, and blade maintenance equipment for woodworking and forestry hobbyists and professionals all over the world. For permission to republish an article, contact Chase Warner at cwarner@woodmizer.com.